A surprising take on China's approach to education, and what it means for the country's future. BEIJING — I have no formal pedagogic training, but I am an education practitioner with international experience. I have taught at Stanford University, University of Maryland, and UC Berkley, before becoming the dean at Tsinghua University's School of Economics and Management. I also consider myself to be a keen and intuitive observer of how education functions. It's impossible to simply write off the performance of Chinese education, especially given the fact that China's economy has achieved such spectacular growth over the last 35 years. Still, we must also be clear that Chinese students' excellence in getting high scores in exams is ultimately no real proof of their talents. Chinese schools are very efficient at teaching large-scale basic knowledge and skills, so that Chinese pupils perform on average relatively higher in this regard. In terms of statistics, Chinese pupils' "mean value" (average) is higher; they have a higher net average whether at primary, secondary, or university level compared with their peers of the same age group in other countries. This is an important advantage for Chinese education, unmatched by other developing countries or even developed countries. One just has to look at the PISA (Program for International Students Assessment) rating, in which Shanghai pupils have been consistently among the best in recent years. In this global assessment, we have seen plenty of offspring of poor migrant families who score much better in math than the children of America's middle-class families. So how do we do it? The massive investment of both the government and the parents, the Chinese tradition of attaching great importance to education, and the fact that Chinese pupils spend more time studying — all contribute to this achievement. Even though there remain many problems in China's basic education, Chinese teachers possess admirable professionalism. Even in higher education, China is, in general, remarkable in teaching basic knowledge and imparting top academic skills. Such an education advantage has been crucial in promoting China's economy during the low-income development phase, because it fits with the "imitate and improve" efforts of China to "catch up" to the developed world. Nevertheless, Chinese students' higher "mean value" comes with a smaller "variance," another statistics term meaning that, to put in the simplest terms, China produces far fewer truly outstanding performers or top creative talents. We surely all know that the emergence of such top-rung talent has a very low probability. Since "natural gifts" are more or less the same in every ethnic group, then outstanding talents should be proportional to population. Yet, with a population as big as 1.3 billion, China has so far produced no Nobel Prize winning scientists from its domestic laboratories. China doesn't have to compare itself with developed countries, but can look at India instead — since two countries have similar demographic bases, and India's per capita income is actually lower than that of China. There is no doubt that on average India has a lower education level. Yet it possesses many more first-rate talents. There are many examples in my own field; the incumbent deans of prestigious world-class business schools, such as the Harvard Business School, Chicago School of Business, Cornell School of Business, and the Washington University School of Business are all of Indian origin. Meanwhile, the current CEOs of multinationals such as Microsoft, Pepsi, Deutsche Bank, and MasterCard are also of Indian descent. So far, no Chinese people have made it to these top positions. It's a general perception that Chinese people are weaker in creative drive, leadership, and influence. 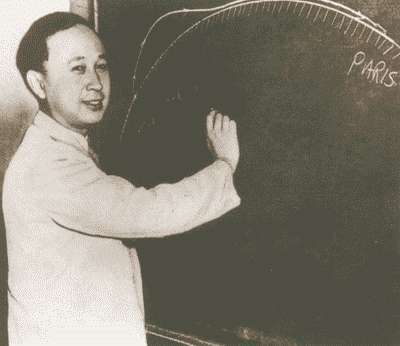 Hsue-Shen Tsien, the late Chinese scientist who made important contributions to both China and America's missile and space programs, once asked "Why can't our schools cultivate outstanding talents?" My hunch is that this question is questionable itself. Chinese scientist Hsue-Shen Tsien — Photo: PD-CHINA; PD-CN. Can talents be "cultivated?" Probably not. Rather they "burst out" in an environment that is fertile. Thus, creating favorable conditions, or let's say "fostering," is far more worthwhile than "raising" or "cultivating" talents. In two of my former speeches, respectively addressed to my university's graduates and to Chinese entrepreneurs, I stressed that Chinese students lack curiosity, imagination, and critical thinking capabilities. Curiosity and imagination are partly innate, at least for some. However, the environment can erode them. It's most likely that the more one is educated, the less curious and imaginative one becomes. Coupled with the fact Chinese students are not encouraged in critical thinking, it is no wonder so few Chinese students become creative. Therefore, it's not that Chinese schools is unable to "raise" top talents, but rather that the Chinese education system "suffocates" their potential. When a country is at a low-income stage, and its economic development depends mainly on imitating and improving, it's not critical that its talent "variance" is relatively low, as long as its "mean value" is not also low. However, once entering into the middle-income zone, creation is the way to drive development, and a small variance affects innovation and, in particular, disruptive innovation. This socio-economic rationale goes far in explaining China's economic achievements of the past 30 years, but also predicts the problems it will face when entering the next stage of development. Moreover, the ill of Chinese education lies not only in the fact that it doesn't foster top talent, but that it produces many lacking a sense of the society as a whole, which we see in the widespread corruption in public and private sectors. There exists a sense of urgency for talent in Chinese society, and this demand for instant success results in contempt for nurturing "human" qualities, and in turn results in even more serious social problems. In my view, the primary challenge of Chinese education is not about how to foster talent, but how to cultivate people with upstanding behavior. Only if it can move beyond the uniquely utilitarian role that education plays will China free itself from the constraints to its progress as a truly modern country. *Qian Yingyi is the dean of the School of Economics and Management at Tsinghua University; this article is taken from a speech he gave in Beijing.